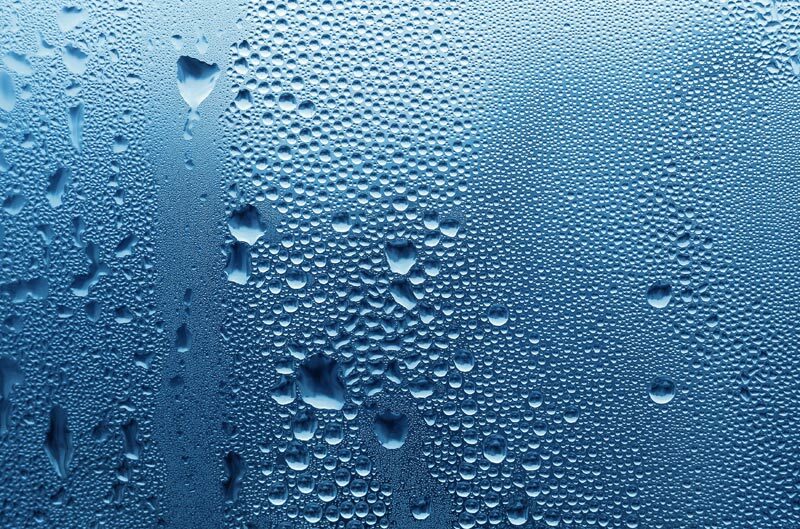 Icy-cold weather means that everyone is turning their heating up, leading to the classic time of year known in the building and renovation trade as ‘condensation season’. When it is extra cold outside and extra warm inside, the air in a building can hold much more water vapour, which condenses on cool surfaces such as walls and windows to create a damp problem. Condensation season began as soon as the weather began to shift and is now climbing to a peak. Buildings that have not been properly protected throughout the rest of the year are now facing a vicious onslaught of condensation and reports of cases of mould growth are heading for a similar spike. 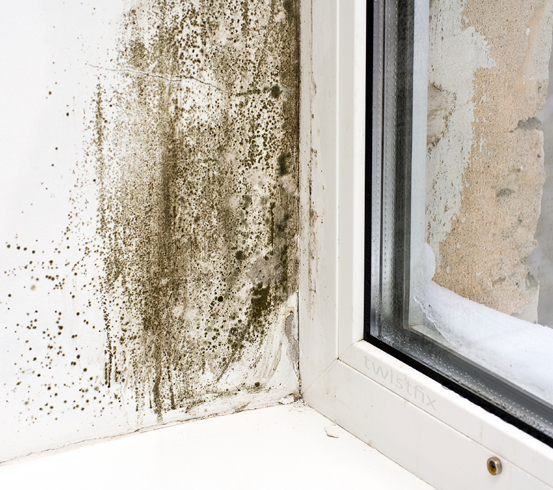 Mould colonies find damp areas to be a haven and can multiply rapidly once established, particularly when the source of moisture is regular as in condensation-affected properties. 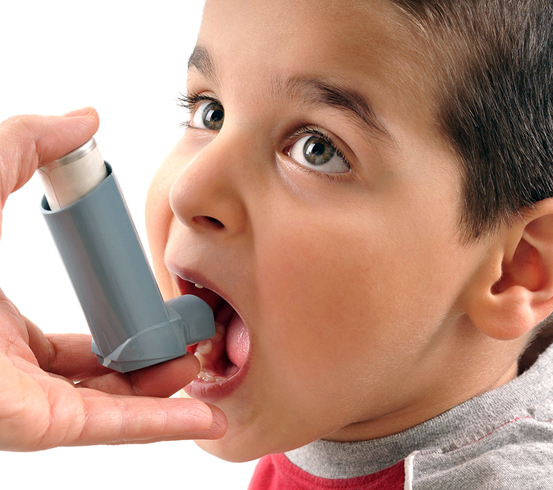 Numerous studies have been carried out into the effect of such moulds on human health and every study, without exception, has shown that mould causes a range of health problems including respiratory complications and skin complaints, some of which are serious. The Twistfix Mould Remover Kit is a consistent bestseller and you can now stock up on this essential piece of kit while saving a massive 24% on the recommended price. Put together by talented, industry-leading professional experts, this kit contains everything required to deliver rapid, effective and safe mould removal that will not only eradicate the existing problem but help to prevent its return. Our kit centres on 1 litre of Mould Remover Biocide Spray which, ready-to-use, is sufficient to treat around 10 square metres of affected surface. Also included are two 100ml containers of Fungicidal Additive that, when mixed in correct proportion with gloss, solvent or emulsion paint, will offer continued protection against mould regrowth. This highly effective anti-mould system is registered with the Health and Safety Executive for use by professional builders and renovators, who should ensure that all statutory precautions, such as wearing protective clothing, apply - our Mould Removal Kit contains both gloves and goggles. 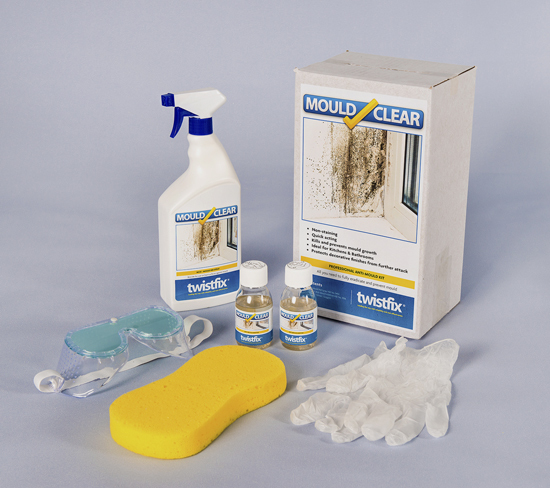 Need to know more about the superlative qualities of our bestselling Mould Remover Kit? please call our expert technical team on 0845 123 6006 or email sales@twistfix.co.uk.